The BLEV-4N1 is a locking liner design. It has a cryogenically treated blade to enhance it's edge holding properties. The blade is made of AUS-8 steel and is bead blasted. 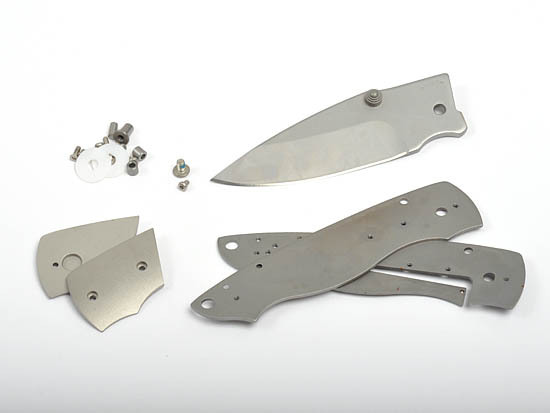 The blade length is 2-3/4", the overall length is 7". The liners are stainless steel. The kit comes with a complete set of instructions. The pivot pin screw uses a T8 Torx driver and the other screws use a T6 Torx driver. The T8 and T6 Torx drivers are not included in the kit.